Filmmaker Rob Stewart, who is credited with saving over one-third of the world’s sharks and whose movies Revolution (2013) and Sharkwater (2007) won multiple awards, was posthumously awarded a Senate 150 Anniversary medal Wednesday morning (Nov. 29) by Senator Michael McDonald, whose proposed Bill S-238 gives hope that Canada will be one of the first countries to support a national shark fin ban. Stewart’s parents Brian and Sandy Stewart, along with their daughter Alexandra and their son-in-law Roger, attended the prestigious presentation in Ottawa this morning. 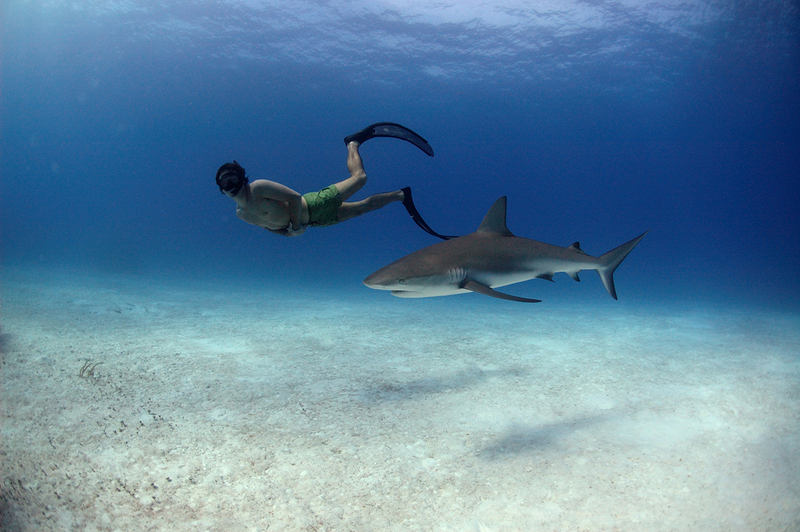 Stewart’s first film, Sharkwater, was an eye-opener that changed public policy and laws around the world in an effort to protect sharks. However, over 100 million sharks continue to be fished each year and over one billion sharks have been killed since Sharkwater’s release in 2007. Although Stewart passed away during a tragic diving accident earlier this year while he was working on his newest movie, Sharkwater: Extinction, work on the sequel continues. It further expose the multi-billion dollar shark industry that is causing the extinction of one of Earth’s most important animals and shows how shark products secretly enter our everyday lives through a variety of beauty and food products. The much-anticipated film is scheduled for release in theaters in 2018.